There is wisdom in having a wide-ranging toolkit to choose from. This is essentially what you have in front of you now. Below you’ll find 15 strategies to make money with crypto, and there are many more. You have the ability to practice all of these over many times. But do not mistake the abundance of strategies to mean that you should do all of them. Experiment at first, yes, but one cannot possibly master all of them, as they’re changing as rapidly as the technology is. It is by becoming proficient at one or two strategies that you can gain an edge. It is your deadly flying side kick to the throat that will destroy your opponent. It’s how you can consistently defeat the markets. Not with a scattered approach or a range of semi-powerful moves, but with a K.O. The best traders and investors will find their edge and hone their skills daily. They will read everything they can about their method of choice, watch all of the Youtube videos, listen to all of the podcasts and talk to others who are better than themselves. For example, you can become an expert in hunting for degenerate micro-cap coins on Cryptopia and focus on making 100x gains once a year. You can become adept at knife-catching big, bloody dips where other traders are too fearful to go. You get really good at setting smart stop losses and train your mind to buy low and sell high. Perhaps you become the technical expert at setting up profitable mining rigs, or staking, or whatever it may be. Or maybe you ignore trading altogether and sell shovels to the gold miners, establishing a niche and profitable bitcoin-related merchandise and e-commerce business. The possibilities are endless, but the point is to find your deadly kick and practice it over and over. If you are not hanging out on Steemit, you may soon become a social media dinosaur. Savvy bloggers and Youtubers who are sharing their content on the Steemit social media network are reaping generous rewards. Steemit not only pays some of the highest earnings to content producers and curators but the social network has designed its reward system to also provide rewards for the quality of the post, called SteamPower. So far, Steemit has paid out $43 million to its close to one million bloggers. SDB can be used to promote posts. Steem Power is a measure of your influence on Steemit. The more Steem Power you have the more you earn. STEEM – Steem Power, an internal token, can be converted into the STEEM token, which can be traded for mother crypto and fiat currencies. Seventy-five percent of a post’s earnings go to the writer. Twenty-five percent of the SDB earned by a post is distributed among curators in the form of Steem Power. Your share of the SP will be weighted based on timing and your current steam power. In two years, liberosist has earned $1,884 writing content on how to make money on Steem. 1. Sign up for a Steemit account. Write your introduce yourself tag and post your photo. Provide the link to your Steemit profile to your other social media accounts. 2. Before posting, research the tags and note which ones have high volume and are trending. 3. When posting, choose the allocation of Steem Power Dollars vs Steem Power you prefer—50/50 is the default. The more Steem Power you earn the higher your STEEM earnings. 4. Remember, you can also earn by commenting and upvoting on other posts. 5. Transfer Steem Power to the STEEM token to convert and withdraw your earnings. Steem Power is determined by a number of factors, including whether or not your vote reflects the majority voter sentiment and how many upvotes you provide in a day. If you upvote more than 40 posts a day, your Steem Power value could fall below 50 percent. The Steemit system can be confusing. The best way to understand it is to become a Steemer and start posting and commenting. The blockchain is giving control of data back to consumers. Instead of middlemen making money off of your data, you can sell it directly to marketers. The direct sales channel provides the opportunity to sell more specific data at higher fees. earn.com has taken advantage of this more personalized data market by aggregating consumers with information in very high demand. Founder Balaji S. Srinivasan, a serial entrepreneur and Stanford alum, has basically put his contacts on the earn.com digital ledger and invited friends and others to join. The result is a highly targeted site of curated business professionals with a focus on the cryptocurrency and blockchain space. In exchange for a fee, these professionals provide their sought-after opinions to marketers by answering emails and filling out surveys. earn.com pays higher fees than many other data aggregation platforms, the process to join is stricter. They can choose among 95 targeted groups including cryptocurrency funds, venture funds, ICO investors, digital currency investors, social media users and software engineers and developers. Several Stanford University groups are also featured. You can choose how much you charge for answering an email—$1, $5, $20 or $100. Advertisers are willing to pay you higher fees because they receive response rates of 30–70 percent within 24 hours versus 1.7 percent for typical marketing. As an added bonus, some of these emails lead to business opportunities. Headhunters, for example, ask about the programming skill set and work availability of earn.com software developers. Create an earn.com profile and link your LinkedIn account for verification. Choose how much you will charge for answering an email—$1, $5, $20 or $100. Select from the list the groups you want to be a part of. Each will ask for some form of verification. Wait for emails to be sent. Perform the required task (an email or survey) by the deadline. Your fee will be automatically deposited in your wallet. You may also choose to donate your earnings to charity. Do not forget to check off the box to receive Airdrops—a new feature added in Janaury 2018. earn.com will provide you notice of ICO airdrops that have chosen to market to this curated group of blockchain developers and investors. Earn up to $100 more by earning $1 in Bitcoin for each verified friend you refer to earn.com. The often-quoted maxim Buy Low, Sell High used to be a sure way to make money. But as e-commerce fees have risen from 10 to 30–50 percent, the middleman is more likely to be the only one who profits. Peer-to-peer trading over the decentralized blockchain with low or no commissions is making this basic sales model profitable again. purse.io is one of the new e-commerce channels leveraging P2P trading and cryptocurrencies to provide shoppers on Amazon cheaper goods. If you have Amazon rewards you are not using, why not buy something on Amazon for someone else at a discount. Or use your digital currency to buy Amazon goods at a discount. Register on the purse.io website. The shopping process varies based on the discount you seek. You can obtain a larger discount if you are willing to wait longer for the delivery of your goods. Submit an order for the Amazon item you would like to buy. purse.io will fulfill the order and deliver it within two to five days. The buyer submits his/her wishlist of Amazon goods to purse.io. purse.io will match the buyer with an earner with Amazon gift cards. The earner with unused Amazon reward points buys the Amazon good on behalf of the buyer. Then, the earner sells the good to the buyer at their desired discount in exchange for digital currency. Freelance and get paid in cryptocurrencies. A big advantage of peer-to-peer job boards is you get to take home most, if not all, of your pay. Ethlance charges no fees. The top freelance website Upwork, in contrast, is currently taking 20 percent of your first $500, 10 percent of $500–$10,000, and 5 percent over $10,000. And since they do not accept cryptocurrency, if you do accept a payment in cryptocurrency off of the site, you could lose your site privileges. Nonetheless, you can still find a large number of freelance crypto assignments on Upwork paying in fiat currency. Many of the freelance jobs paying in cryptocurrency are listed by blockchain startups. All the major freelance skills are in demand—software developers, web designers, translators, marketers, writers, and so on. The freelancing market for cryptocurrency is taking off more slowly than the general crypto job boards, which are burgeoning with current job offers. The listed jobs on some freelance websites are two months old. Be patient. The growing workforce accepting permanent jobs in cryptocurrency will be sure to turn to crypto freelance jobs platforms when they need temporary help. Visit freelance websites advertising jobs paying in cryptocurrency. Post your profile and photo. Take any relevant job skills tests, if offered. Offer to do a few jobs at a reduced rate to develop a portfolio and rating. Ethlance – This zero fee platform pays in Ether. Blocklancer – The Fiverr of Ethereum. Tell your future clients what you will do for Ether. cryptogrind.com – This site pays in Bitcoin stored in multisig wallets. Cryprocurrencyjobs – A freelance marketplace matching freelancers with jobs with blockchain startups. Coinality – A job board aggregating all jobs paying in ceyptocurrency. Not all payment processes are without fees. Ethlance uses a Metamask wallet requiring that you pay gas to use it. Having an unprofitable trading day? On cryptocurrency exchanges, you still have the opportunity to end the day in the black (trading parlance for profitable). On the Polionex, Bitfinex, and Kraken exchanges, for instance, your potential to make money does not only depend on your trading performance. You can also make money on interest from margin loans you lend to other traders. Exchanges provide margin loans to traders allowing them to trade more than they have in their account. On the decentralized blockchain, peers can provide direct margin loans to other peers at lower rates. Margin borrowers assume more risk when they trade on margin. You may have heard of stories of margin traders losing lots of money. Using financial leverage not only amplifies the amount of money you can win but also your losses. The lender, in contrast, has low risk because the borrower provides you with security. The money in the trader’s cash account serves as collateral for the margin account. Demand for loans will be higher on exchanges with higher volume. Sign up to a cryptocurrency exchange that supports peer-to-peer margin lending. What is the risk profiled the lender you will accept? Will you choose an exchange that only allows accredited investors to trade on margin? Or one that allows all traders margin accounts? Are you willing to lend to a trader who assumes a conservative 2:1 leverage or higher risk 4:1 leverage? You may want to avoid an exchange that provides 100:1 leverage. Open a lending account. This account is in addition to the standard trading and margin accounts. Indicate which coins you are willing to lend and how much you will lend. Compare lending rates. Some exchanges may require you to lend out at least $10,000 to make any money from margin lending. As a broker, you will make money from the difference between the bid and ask price. Unlike the mature foreign exchange markets in which the spreads are super thin, brokers can benefit from wider spreads across cryptocurrencies. For the potentially higher returns, though, you will face more risk. The biggest risks you will face as a cyrptocurrency broker are price risk, counterparty risk and liquidity risk. Price volatility in cryptocurrencies is high, though it is declining. Black swan events—unexpected events that cause large price spikes—are harder to predict in the nascent crypto markets but more common. Counterparty risk is high on some exchanges. Liquidity risk is the risk you will not be able to find a trading partner to take the other side of a trade. Liquidity is good in the top 10 coins by market capitalization (Bitcoin, Ether, Ripple etc.) but is thin in many coins. Be mindful that transaction processing on the Bitcoin blockchain is limited to about seven transactions per second versus tens of thousands on fiat exchanges. The slower processing time increases the risk that a trade could turn against you. For example, you buy Bitcoin and the price falls five percent in the 15 seconds it takes you to to sell the coin. Check with a lawyer to verify if you need a license to be a cryptocurrency broker in the jurisdictions you are trading in. Register with the exchanges you want to trade on. Consider using a trading bot such as Haasbot that connects to many major exchanges and provides a single screen view of all your positions. Advertise as a seller and/or buyer on the exchanges you do business on. Some exchanges will have a minimum deposit requirement to advertise buying or selling. Decide on the payment methods you will accept (bank transfer, credit card, wire transfer, Skrill, OKPay). Some forms of payment will expose you to high risk of default. PayPal payments, for example, can be charged back. Registering all trading partners through a KYC/AML verification process is highly recommended. Some exchanges such as LocalBitcoins strictly prevent you from brokering, that is buying and selling Bitcoin on behalf of others. Working for crypto is becoming easier. Search the crypto job boards for the positions that interest you. Click Apply and follow the application instructions. Most jobs boards will offer to register your resume and keep it on file. All senior management professionals involved in the blockchain and cryptocurrency space use LinkedIn as their main business profile. They also choose to list positions they seek to fill on the leading professional business network. A quick perusal reveals over 800 cryptocurrency jobs listed in the US, 600 blockchain jobs in London, UK, and 100 blockchain developer jobs in Singapore. Here is how to get the attention of those with hiring authority on LinkedIn. Use keywords related to the job positions you want (e.g., blockchain developer, frontend blockchain developer, software engineer) to help recruiters find you. Ask employers and colleagues to provide you with references to include in your LinkedIn profile. Search and respond to LinkedIn job ads. Connect to people you know and want to be connected with to gain access to their network. Join LinkedIn groups in the industries and disciplines you want to work in. In LinkedIn groups, 1.8 million people are seeking to make job connections in the Software and Technology subgroup Software & Technology Professionals: Managers | HR | Recruiters | Blockchain | Investors. The Hub.Careers Blockchain subgroup has over 400,000 members. Search under LinkedIn groups and you will find many other fintech/blockchain career groups. Updates on cryptocurrency networks are done through a process called forks. Forks require a network consensus. When consensus is not achieved, a permanent split occurs and a new currency is created. Permanent forks can be a windfall for existing currency holders. If you are holding the main currency in a wallet at the time of the fork, you will automatically receive the new currency. The first Bitcoin fork took place in August 2017 when the developers of Bitcoin Cash upgraded the blocks of the Bitcoin blockchain from 1 MB to 8 MB to improve the scalability and transaction processing speed of the network. Since a consensus was not reached on the upgrade, the new currency was created. A year after the fork, Bitcoin Cash was trading at $700USD. Bitcoin Gold (BTG), which hardforked almost a decade ago, was trading at a more modest $24 USD in October 2018—stll a good return on free money. Sign up for email updates on the fork. Wait for the block at which the fork will take place to be announced. Ensure you have the main currency in your wallet before the block is reached. Ensure you have an authorized wallet. The Bitcoin Cash fork, for example, only deposited Bitcoin Cash into certain types of wallets listed on its website. Wait for the new currency to be deposited into your wallet. Ensure you have the currency deposited well in advance. The estimated black date from r the Bircoin Cash fork was actually later than the day the block was reached. Those who had not transferred Bitcoin I to an authorized wallet missed out. In the virtual world, you do not need a printing press to make your own money. Many platforms are available to help you make your own tokens. A token is a digital currency used to facilitate decentralized peer-to-peer transactions. Blockchain startups issue and sell tokens to investors through initial coin offerings. Most of the tokens issued to date run on the Ethereum blockchain using the ERC-20 protocol. Ethereum upgraded the Bitcoin blockchain by adding smart contract functionality, allowing businesses to program functions into self-executing contracts. Tokens activate smart contract actions. Most transfer cryptocurrency for a specified value in goods or services (a currency trade, loan, wire transfer, accommodation booking, gameplay and assets, shipping services). You can tokenize anything you can sell for value. If you are selling your token in the US or another jurisdiction that considers a token a security, register the token or apply for an exemption. Consult a lawyer or ICO agency with legal services for assistance. Choose your branding and design. Develop your website, whitepaper and pitch deck. Develop your platform interface and smart contracts. Determine how your tokens will be distributed (e.g., founders, team, private investors, ICO, marketing and promotion, rewards, administration/operations). This distribution will be presented in the whitepaper. Add KYC/AML compliance to your registration process. You may choose to conduct this verification in-house or outsource it. Launch your social media and public relations campaign (Medium, Twitter, Reddit, blog, Youtube, Telegram). Produce and share lots of content to tell the world about your token. Feeling overwhelmed? ICO agencies can help you through the process. Start with this list of 65+ ICO agencies. Blockchains like Waves and Emotiq have developed platforms that make it easy, fast and less costly to create a token and smart contracts. Both boast smart contracts that can be created by non-programmers. – Securities regulators in the US, Japan and other jurisdictions are cracking down on ICOs. Depending on where you register, you may be required to register your token as a security or apply for an exemption. The extra complained steps could pay off and help you sell more tokens. Wiser investors are placing money in ICOs with high ratings. If you are really ambitious, you can develop your own coin. An important difference between coins and tokens is tokens launch on existing blockchains whereas coins develop their own blockchain. Why develop a new blockchain? The Ethereum blockchain hosts 82.6 percent of tokens but transaction processing time and capacity limitations are keeping some businesses on the sidelines. Seeing a big opportunity, new blockchains offering performance improvements are being introduced. Popular blockchain coins include Tezos, Waves, NEO, EOS, Litecoin and Ripple. Ripple saw an opportunity to develop a blockchain to meet the high volume transaction processing needs of large businesses. Targeting blockchain startups, Waves provides the speed of a centralized exchange with fast and cheap token and smart contract creation. Or you may build a blockchain focusing on niche apps such as gaming platforms. Competition is high and Ethereum is working on an upgrade to its popular network, but if you can build a better blockchain you could do well. New blockchain platforms dominate the top coin market capitalization rankings. Identify your use case. What is the function of your Blockchain? What type of Dapps will you host? Develop your consensus mechanism—the method by which your network will verify and record transactions. Design your Blockchain architecture. Are you making upgrades to an existing blockchain (Ethereum, Hyperledger? ), or starting from scratch? Develop your APIs. Basic functions include keys and signatures; data authentication, storage and retrieval; smart contract functions ( transactions, escrows). Hire your programming team, or Blockchain developer freelancers on a crypto or other job site. The saying nothing is free in this world was true until blockchain startups started distributing their tokens at no charge. Airdrops, the free distribution of tokens by a blockchain project, are the easiest and cheapest way to add cryptocurrencies to your investment portfolio. The only requirement is that you have a specified token in your wallet and/or are a community member. Why would a blockchain project distribute cryptocurrency for free? Airdrops are an effective marketing strategy. Blockchain projects can quickly build a community of investors and participants in their platforms by giving away free tokens. If you have free tokens to a peer-to-peer travel booking site, gaming platform, or money transfer service, you are more likely to try out the service. As more blockchain startups attract private equity, the stream of airdrops is expected to increase. For companies like Dfinity, backed by the $1 billion Polychain Capital fund, raising money through private rather than high profile public ICOs, airdrops are a way to develop a network of users and liquidity in a token. Existing community members of the decentralized cloud server were part of the largest airdrop in the history of 3.5 million tokens earlier this year. Valuing itself at $3.5 billion, Dfinity would be among the top 10 in market cap if it was trading publicly. Follow airdrop lists and sign up for notifications at Airdrop Alert, TopICOlist, or similar services. Ensure you have some coins in the required cryptocurrencies in your wallet and/or complete the required social media tasks (see Tips below). Sign up on the company’s website or through a website specializing in airdrops. Some airdrop websites will ask you to submit identification as part of the KYC/AML process. Provide your cryptocurrency wallet address and wait for your new tokens to be deposited. Some airdrops will require the use of specific wallets. Truth is, few things are free in life. More airdrops are following the bounty model and asking for a few marketing tasks before dropping your tokens, such as referring friends, or sharing and following the ICO on social media. Cryptocurrency affiliate programs pay you for making referrals. On blockchain platforms, where amplifying network effects is key to increasing traffic and revenue, affiliate programs are generous. Referral commissions range from 10 to 75 percent. Even more, money can be made when commissions are offered on second and third tier referrals. When your referrals make referrals, you also earn a percentage of their revenue. BitBond and XCoins pay 50 percent commission instantly when a lender you refer completes a loan transaction. XCoins pays a second tier fee of 3 percent on your referral’s referrals. If you always fancied a career as a headhunter, Blockchain developers.net will pay you $1,000 for any developer you refer and its clients hire. Refer farmers to the food and agricultural marketplace Foodcoin Ecosystem and receive 5 percent of all sales and advertising. ICO referrals are among the most active referral opportunities. Lists of top vetted affiliate programs are regularly published online. Google cryptocurrency affiliate programs for a current list. Sign up for the affiliate program on the sponsoring website. Provide your cryptowallet address and fill out KYC/AML information if required. Obtain the affiliate links from the sponsoring site (called referral URLs) to embed in your social media and blog, website and other content. When someone clicks on the referral link and performs the required task, you will receive a commission. While many affiliates will pay out for as long as the referred customer does business on their platform, other payment programs are limited and maybe one time. Payout frequency can vary from daily to monthly. Read the fine print. When reviewing the offerings of exchanges or wallets, weigh the referral opportunities. The intense competition between cryptocurrency exchanges and wallets has created one of the most active areas for referral opportunities. Even if you are not a successful trader, the potential exists to profit from referrals to a trading platform. Cryptocurrency Exchanges – Most of the 100-plus cryptocurrency exchanges competing for your trading business offer referral programs. At leading exchange Coinbase, both you and your referral will receive a one-time $10 if your referral trades at least $100 within 180 days of registration. XCoins pays 25 percent on referrals and 5 percent on second tier referrals. CPA fees can be generous. Refer a friend to CFD exchange Plus500 and earn $700 after your referral spends $100. Cryptocurrency Wallets – Receive a one-time commission up to 10 percent when your referral opens a Trezor wallet. Competitor Ledger Nano S pays 10 percent for life. Your blog, YouTube, Twitter, Reddit, Telegram or other social media account could be earning you money by helping blockchain startups promote their ICOs. ICO bounty programs provide an opportunity to earn tokens by performing various tasks. Bounties originated in the software community where software developers regularly provide rewards in exchange for finding bugs and security leaks. ICO bounties are also given for software debugging but by far the largest demand is for marketing and promotion tasks. In exchange, you will receive tokens in the ICO. Other virtual money such as Bitcoin, Ethereum and even cash may be rewarded. Bounties vary in the degree of resources required. A few tokens can be earned by sharing ICO news on your Twitter, Instagram or other social media account, or making referrals to ICO Telegram and other social media groups. Or you may be asked to follow the platform’s Instagram, Telegram or LinkedIn site. If you make a video profiling an ICO, you could make in the range of $50 to $1,000, depending on the quality of the video and the amount of traffic it generates. Visit a bounty hunting platform to find bounty tasks that could benefit from your talent and resources. The most popular are the BountyOx Network and ICOBountyHunt. Carefully follow the bounty task instructions (e.g., Tweet three times a day for two weeks on ABC blockchain platform using only the phrasing provided on the website). Submit evidence of the completed tasks carefully following the submission instructions. Ensure you follow the content development instructions verbatim. Tweeting 29 times instead of 30, or writing a 450-word blog instead of 500 words (even if it receives 20k viewers) could disqualify you from receiving tokens. More and more entrepreneurs with an interesting business concept are pursuing initial coin offerings (ICOs). An ICO is not only a way to get funding to bring an idea to fruition, but also a road to riches for some—but increasingly fewer—entrepreneurs. Raising money through an ICO is becoming more challenging due to concerns over the quality of issues. Close to 50 percent of ICOs failed in 2017, and the failure rate is rising. The odds, though, are still better than any game of chance—one in two ICOs are succeeding. And the startups that do succeed are raising more money. The money is flowing to fewer but higher quality issues. Investors are interested in blockchain ventures but they are becoming more discerning about which ones they give money to. So how do you decide which will be the winners? Following the flight to higher quality token issues can help increase your odds. Like an ICO or stock offering, a security token offering is a way for a blockchain startup to raise money. A fundamental difference is an STO must be backed by the assets, profits or revenues of a blockchain business. Importantly, STOs comply with securities regulations which, in the US and other jurisdictions, ICOs are also now required to do. ICOs that circumvent US listings to avoid complying with securities laws are more likely to be low-quality issues. To increase the chance of investing in quality, choose token offerings that follow the guidelines of rating agencies and securities regulators, even if they do not register their ICO as a security. 1. Review STO instead of ICO offerings online. 2. Before investing, check the ICO/STO rating and read any related analyst reports. ICORatings.com rates STOs. 3. Check to see if the STO has filed for securities registration exemption under rule 506(c). These STOs still must comply with securities regulation but do not have to submit in-depth investment prospectuses. Exempt STOs are only open to accredited institutional investors and those with income of more than $300k or a net worth in excess of $1 million. 4. Follow the STO investment registration process on the company website (KYC, wallet registration etc.). Misha, a Tokyo-based ex-recruiter, author and blogger. In the past 5 years, he has helped companies like Facebook and Amazon build their hiring strategies, started (and shut down) his own company, learned Japanese and quits his job. Nowadays he writes a lot. He is the author of Bullish on Bitcoin: 37 Strategies to Profit in the New Crypto Economy. http://mybook.to/bullishonbitcoin. He also hosts a monthly Q&A session, which you can check out by becoming a Patron. Alibaba Group and ABBC Foundation reach worldwide sett . . . If You’re Supposed to Buy Low and Sell High, Why Aren’ . . .
Care.W​allet for Physicians: Solve.Care Partners with . . . Positive Uptrend for MGO As Game Developers Favor It O . . .
MGO Tokens: What was done in 2018 and what to expect f . . .
Crptocurrency Review Series: Dash Review – Priva . . . Interesting and Important Blockchain Pathways For Tech . . . Increased Acceptance of Cryptocurrencies in General Ba . . .
Securities Startup, DESICO, Announces Their Own Securi . . .
Unocoin Launches a Crypto-ATM Despite RBI’s Ban- Good . . .
Moolyacoin’s Founder Defends the Decision to Control Y . . .
Moolyacoin Token Code is Dangerous, “Have faith in us” . . .
What Cryptocurrencies Trading Should Learn From Wall St. The Single Biggest Barrier to Cryptocurrency Adoption . . .
An A-Z guide on decentralized exchange protocols and t . . . The Lesser Known Facts About ICO Market Performance in . . .
Utah’s New Crypto-Venture, HARACOIN Is Changing The En . . . Your Cryptocurrency Portfolio Can Vanish Overnight If . . .
Indian Law Commission Recognizes Cryptocurrency as an . . .
CYBER-LENDING: Perfecting Security Interests in the Ne . 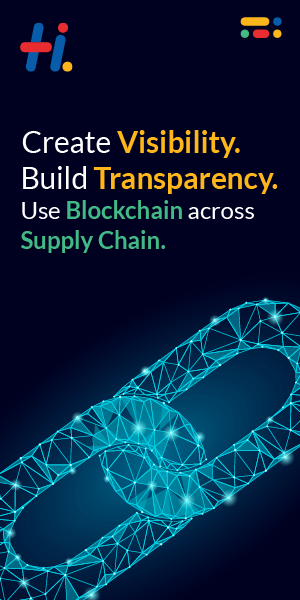 . .
Blockchain helping Brands to directly connect with cus . . .
A Safer Direction: On Crypto Exchanges and the Need to . . .
Blockchain-based Startups Making a Difference In The C . . .
Igniting Bitcoin’s Consumer Use: Feature Interview Wit . . .
Blockchain is thriving despite the crackdown by Chines . . . Caution! Check this before Investing in Cryptocurrency . . .
Bitcoin Vs. Ripple: Interesting Comparison! Litecoin (LTC) Simplified! Everything You Need to Know . . .